I also wanted to mention that we will be at our first two markets of the season this coming Saturday. One is the Hand Made Market. You can get all the information of that little side panel. 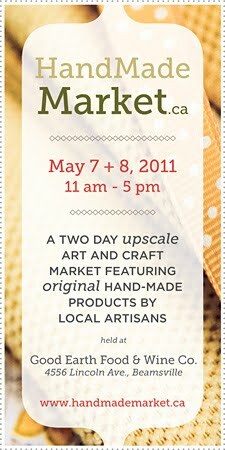 We will be also starting at the St.Catharines Market where we will be found for the month of May. At both of these places we will be offering a great selection of herbs and early produce. We are also selling a great selection of Heirloom tomatoes. Stay tuned to see us in Niagara on the Lake on May 21st with all your vegetable garden plants on hand.